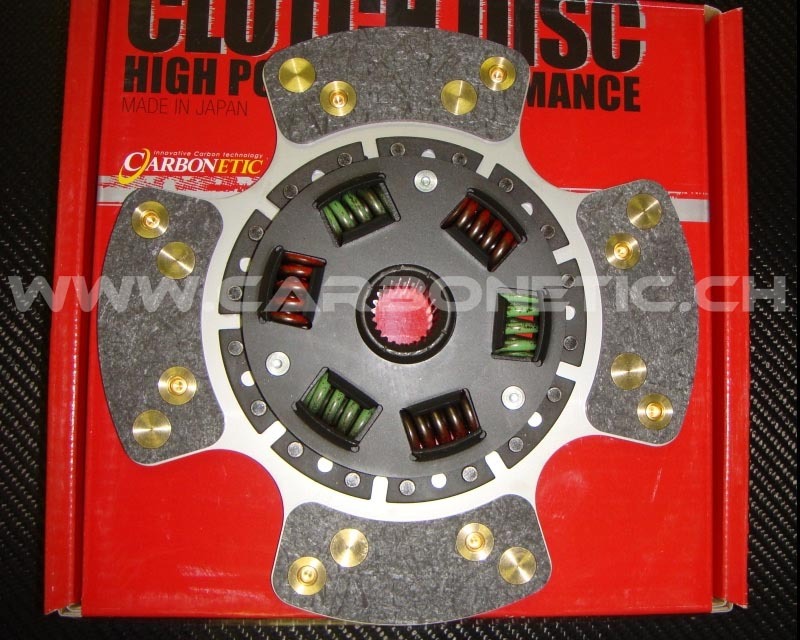 The worlds first OEM replacement Carbon clutch disc which has all the advantages of more expensice Carbon clutches. But priced liked performance metal clutches. At quick shift th specific gravity of the Carbon is 1/5 of iron. By attaching our carbon material on the outer edges of the clutch disc, an ultra low inertia is released which cannot be accomplished by conventional clutches. The low inertia makes quick shifting very easy and at the same time it minimizes the damages to the scynrco gears. The new carbon clutch has sprung centre damper in order to achieve an easy operation and to reduce the impact to the transmission at the engagement. The Blade Carbon clutch has been tested and can hold 450+ BHP with a comparative torque figure; tests have shown the clutch to hold even more. (Depending on pressure plate). 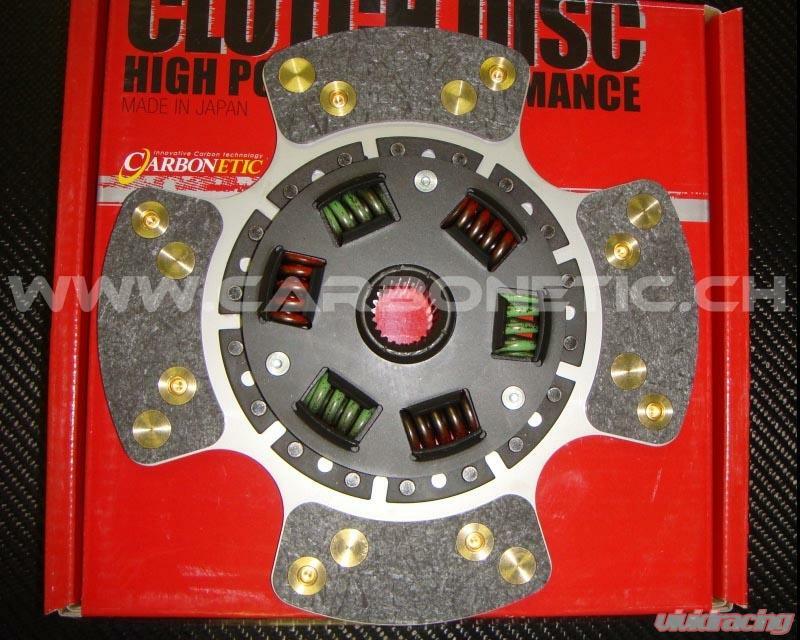 In 2001, Across successfully released a state-of-the-art line of carbon clutches to the automotive marketplace. Today, these continually evolving carbon clutches and carbon LSDs, under the brand name of CARBONETIC, are considered to be standard tuning gear in the automotive market, as they present appreciable benefits to the end user in performance, controllability and cost effectiveness. Following ongoing technological improvements and refinements, CARBONETIC offers a distinctive and diversified lineup of carbon composite products to the dedicated racing aficionado and marketplace in the United States.